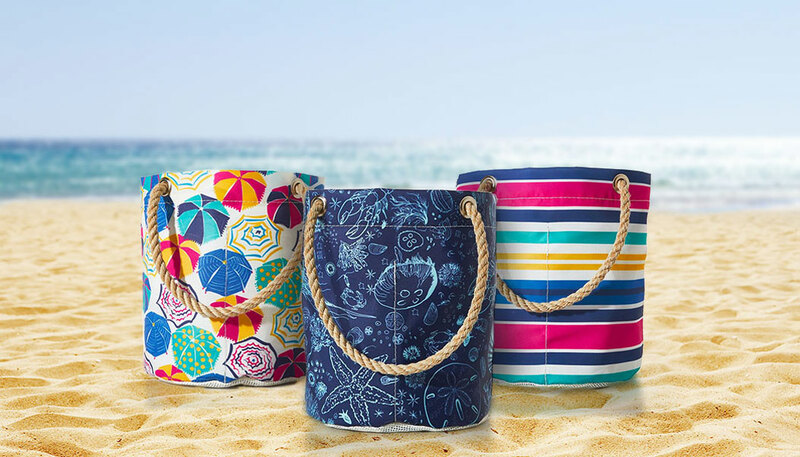 We can’t think of a more perfect bag to bring to the beach than our Beachcomber Bucket Bag. 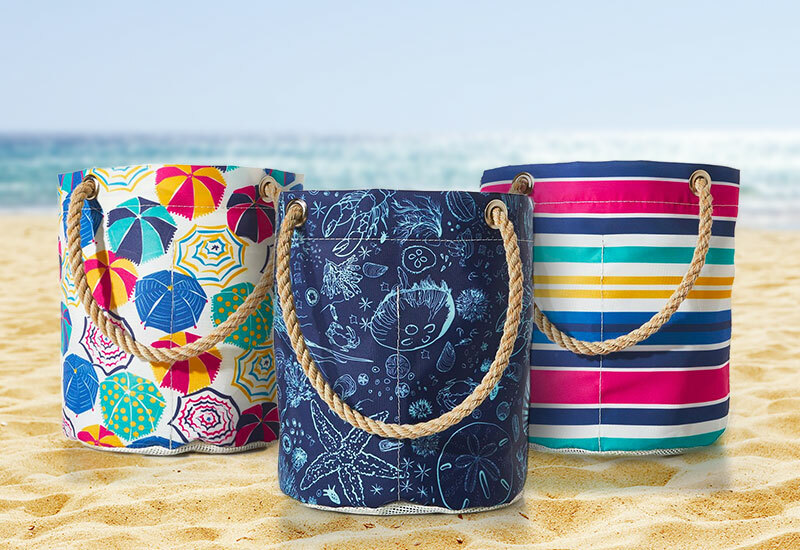 With four generously sized interior pockets, the Beachcomber fits toys, sunblock, and glasses perfectly. When your sun-filled day is over, the mesh interior allows sand and water to escape leaving the sand at the beach, keeping your car and home clean. The water-resistant sail cloth and marine grade mesh are extremely durable and machine washable. Think the Beachcomber is only for the summertime? Think again! During the off-season, use it to organize crafts, kitchen utensils and keep as a shower caddy. Tote your toys, sunscreen and water bottle beachside all while keeping sand out of your car and home. Corral supplies of any kind: kitchen utensils, art supplies, grilling equipment, and more! 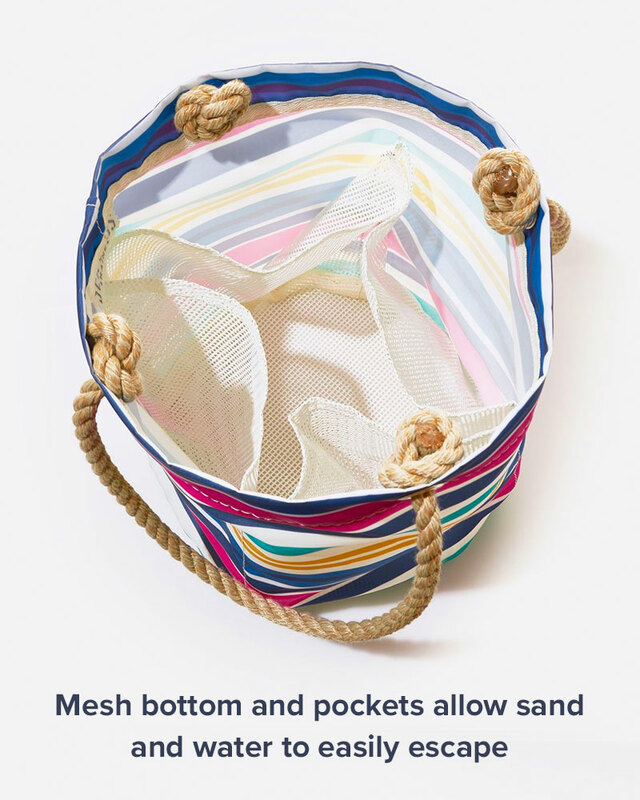 Hold all of your essentials while allowing the water to escape right out of the bottom.